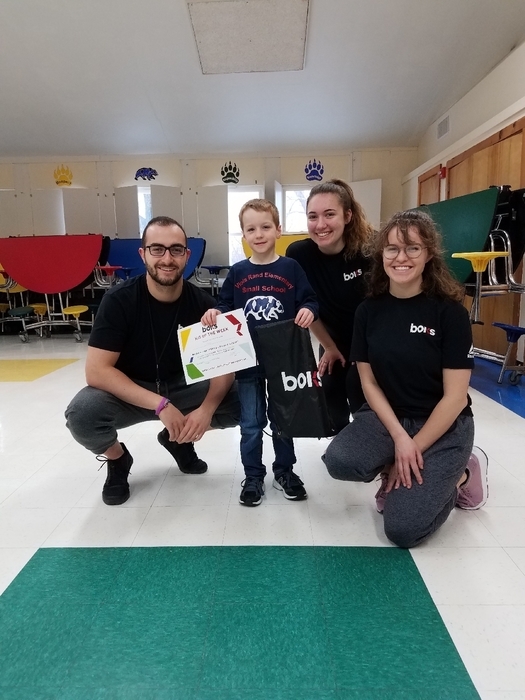 Jack was BOKS Kid of the Week on April 4th! Today was the last session of BOKS. 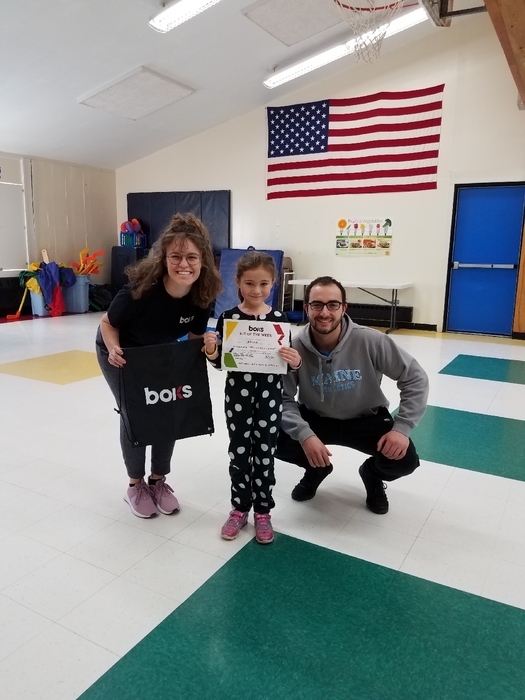 Two students, Julia Spencer and Brantley Greenleaf, were named BOKS Kids of the Week! We will all miss our awesome BOKS coaches! It was a fabulous program!! 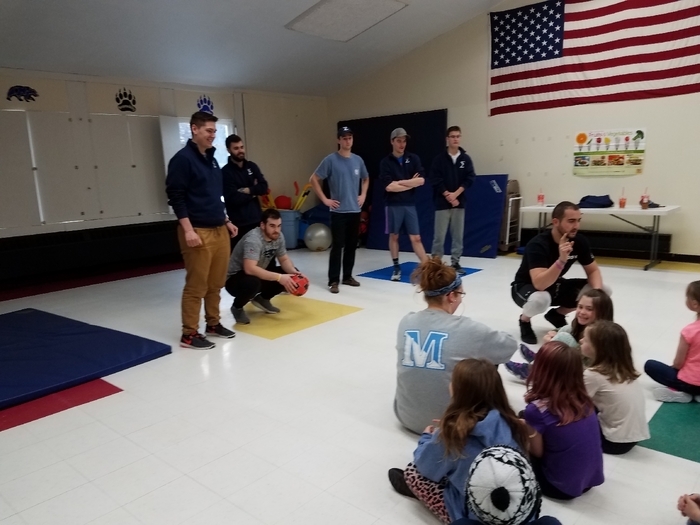 Some young men from the Senior Skulls at the University came to exercise with our BOKS kids on Tuesday! 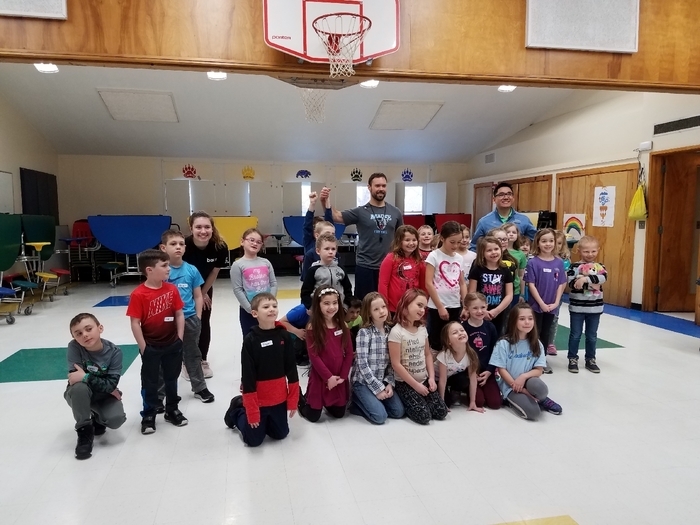 UMaine's head strength and conditioning coach, John Lynch, worked with our BOKS kids on their core strength! 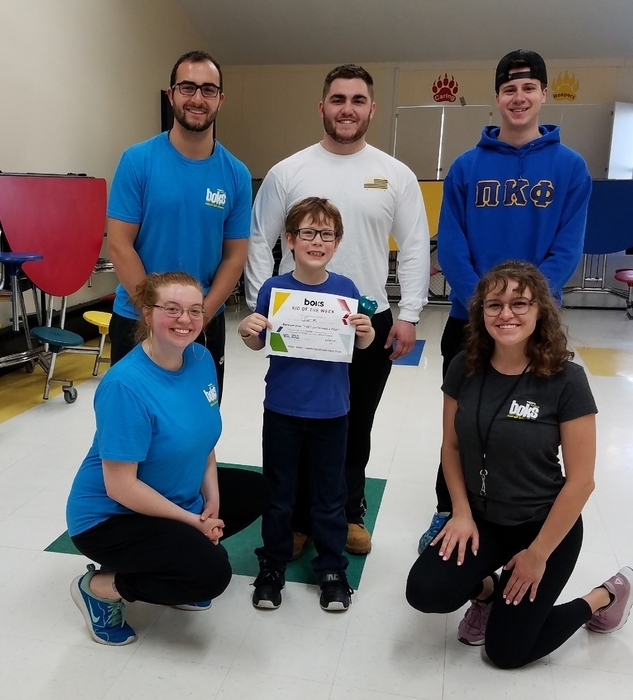 Lucas is the BOKS kid of the week! 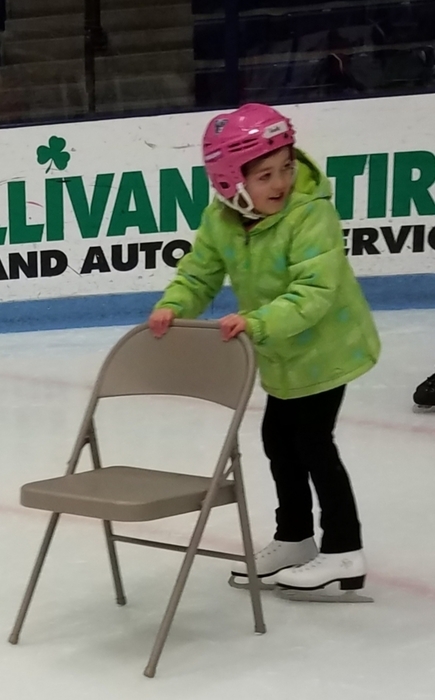 Aliza is the BOKS kid of the week! 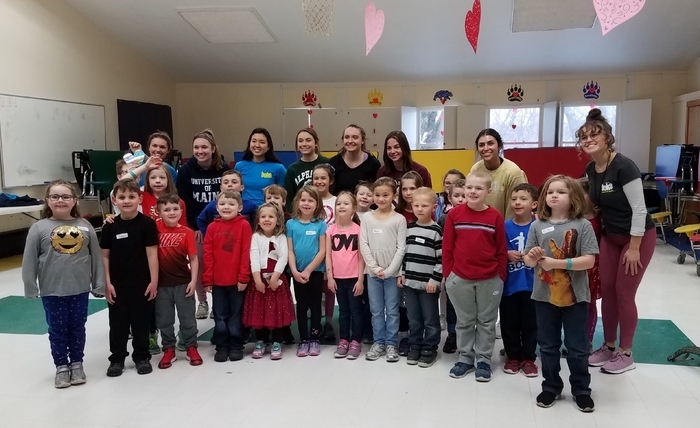 Ladies from UMaine's Alpha Phi came to visit for the BOKS session this morning! 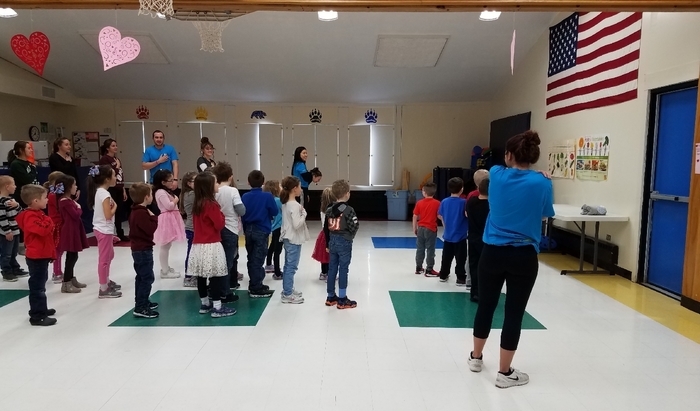 Our BOKS program coaches recited the Pledge with our students this morning! RSU34 schools are closed today, February 13, 2019. Today was day 1 of the BOKS (Building Our Kids’ Success) program at Viola Rand School. 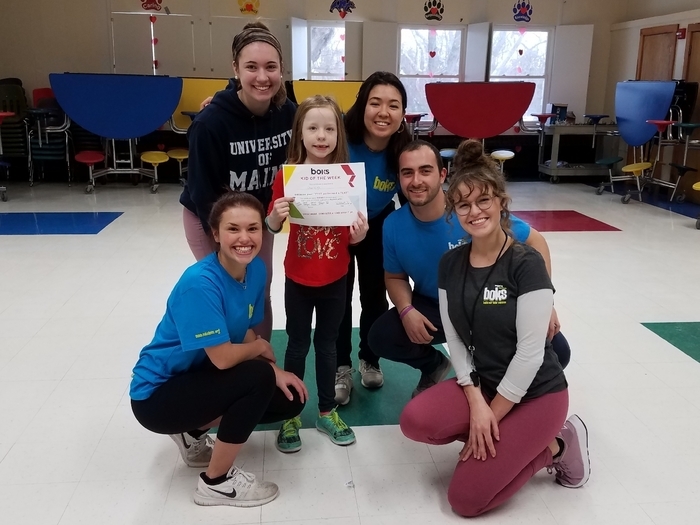 Per their website, “BOKS is a free physical activity program that improves our children physically, mentally, and socially by strengthening their minds and bodies through movement.” University of Maine students led by Sam Lenson are running this program for our students. 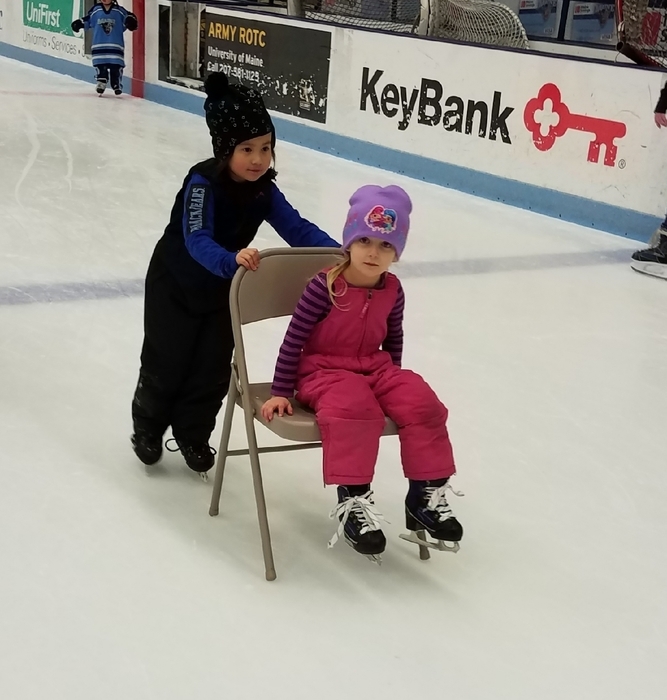 It was a lot of fun for the kids involved! 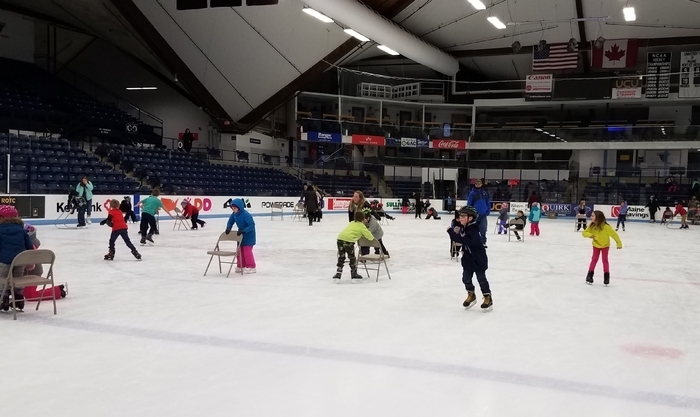 Lots of fun at the Alfond Arena on Friday! 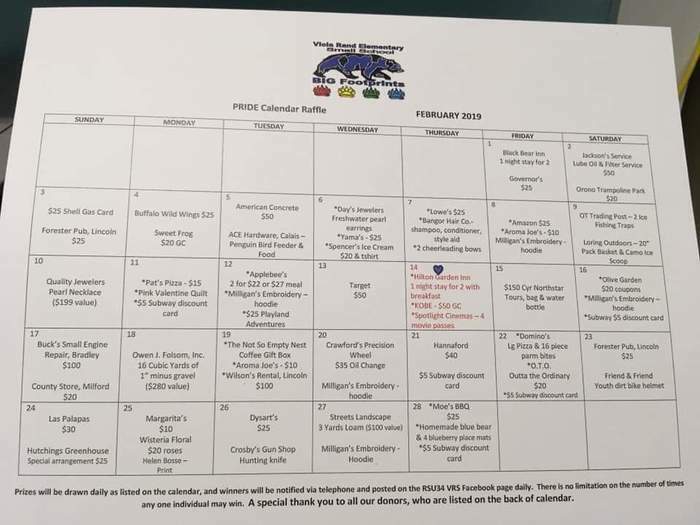 PRIDE February Calendar Raffle Fundraiser is underway! Students will be selling the calendars for $10 each. The daily listings to win are awesome! 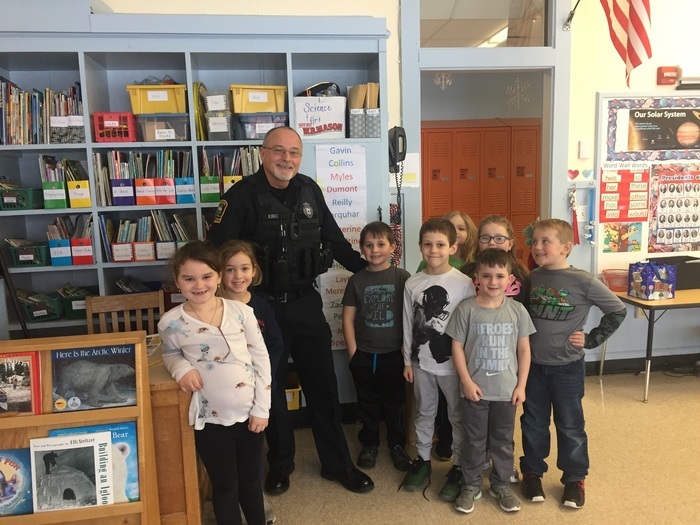 Officer King paid a nice visit to 1st Grade this morning. 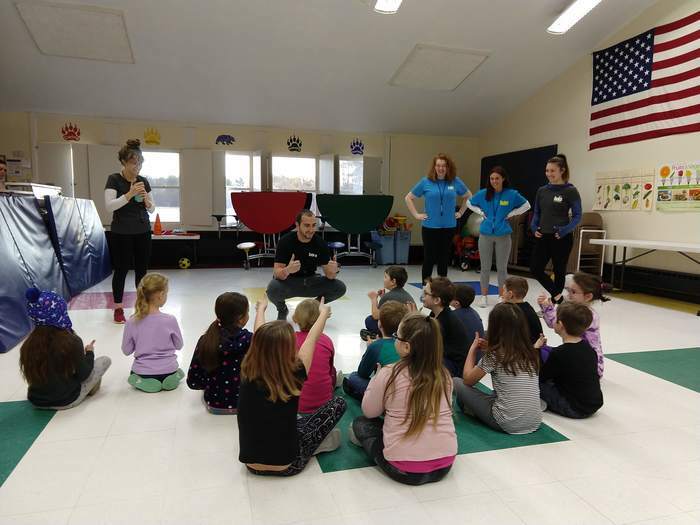 The children had many questions for him, especially about his vest with all his "tools" on it. The students love when he visits. 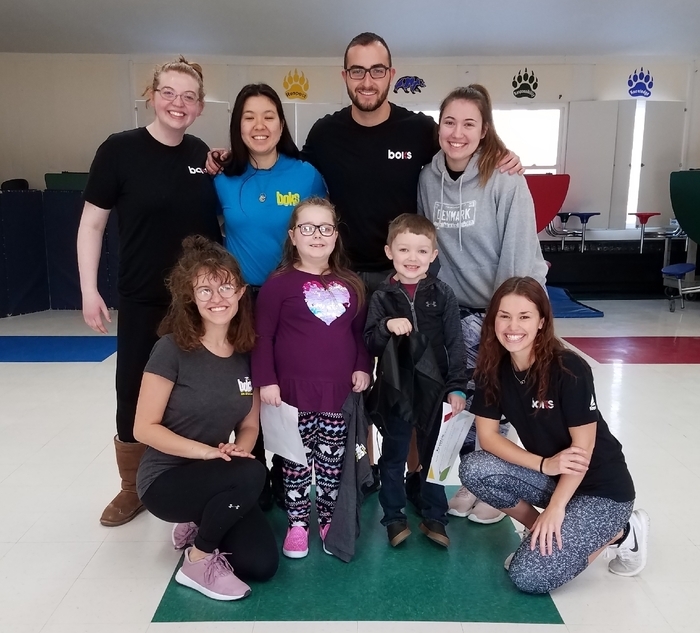 Starting on January 29th, Sam Lenson, a University of Maine graduate student will be working with staff to bring an exciting before school activity program to Viola Rand School students. 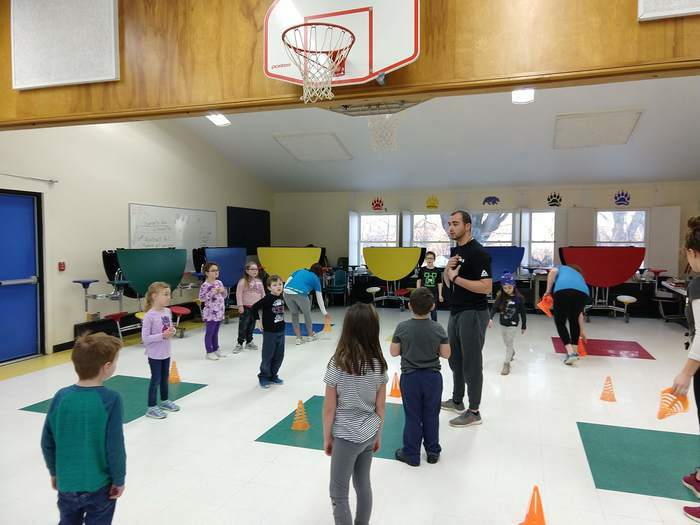 Boks will run every Tuesday, Wednesday and Thursday morning beginning at 7:20 AM. The school food service breakfast will be offered as a bag on the go breakfast for students to take to class with them on these days. The program will run 3 days per week until March 7th. 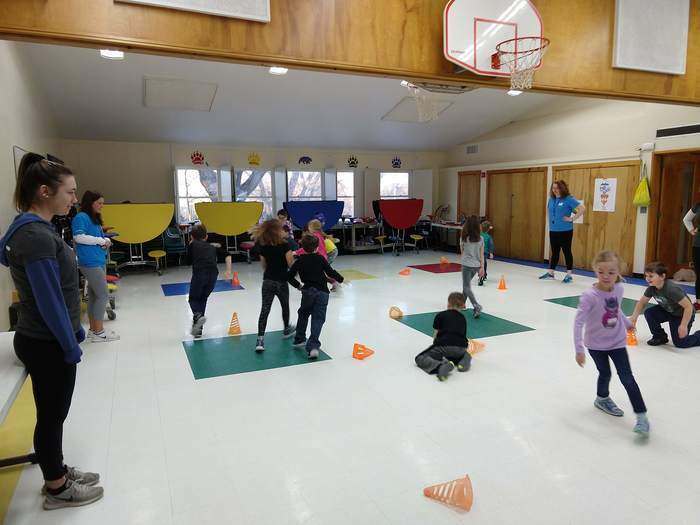 A typical BOKS class starts with a fun warm-up game or movement drill, then a running activity, relay race, obstacle course and strength movements. A fun game follows, concluding with a cool down and a BOKS bit, which is a nutrition component of the program. Please watch for a registration letter and form to come home with your child! Or find copies in the documents section of the school web site. The next PRIDE meeting will be on Wednesday, January 9th at 6PM. Babysitting is provided. Please join us! Thursday afternoon is Cookies and Craft Day Sponsored by the Old Town High School Key Club! 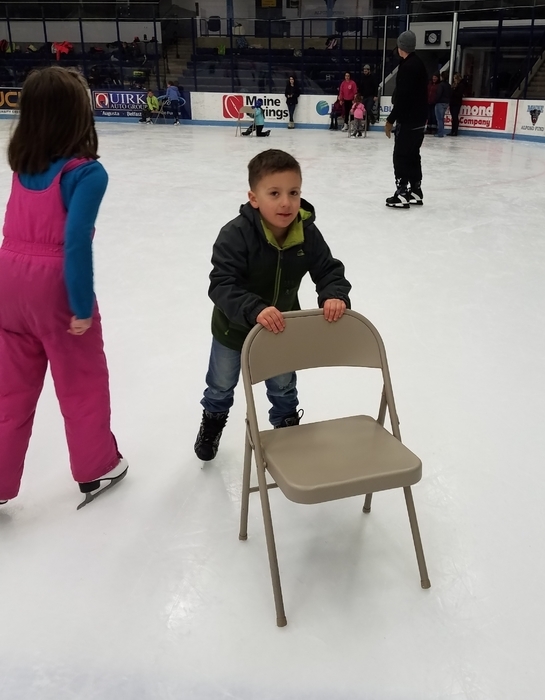 This fun event will run from 2:45-4:15. There will be no school in RSU34 today. Stay safe! There will be a Family Code Night at the Alton Elementary School on December 5th, starting at 6:00pm! All RSU34 students in grades 2-5 are invited to attend this exciting event with their families! Please RSVP to the Alton school at 394-2331 if you will be able to join us for this fun evening! Parent conferences are today and tomorrow! School picture day is October 12th! The goal of collecting 500 Box Tops this week was met! Teachers will have wacky hair or hats today! Have a great weekend! Breakfast will be available starting at 7:30 AM.